Street Rebel (LEGO 7291-1) is a neat Creator theme set that is mostly Orange, Dark Stone Grey, and Light Grey. 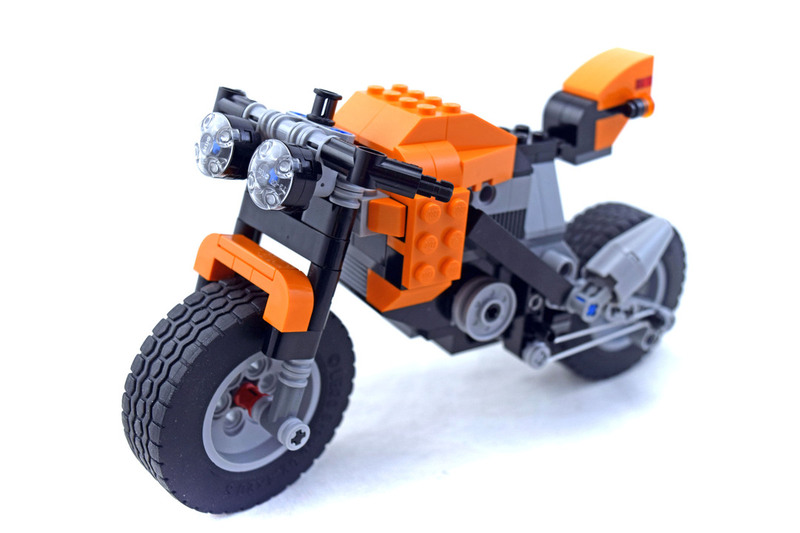 You can build a large motorcycle, as well as two alternative models, a chopper bike and a moped. Set comes with 196 pieces.